Move in ready! This beautiful home offers three spacious bedrooms, two full baths, an eat in kitchen with a breakfast bar & granite counter tops, and over sized utility room. 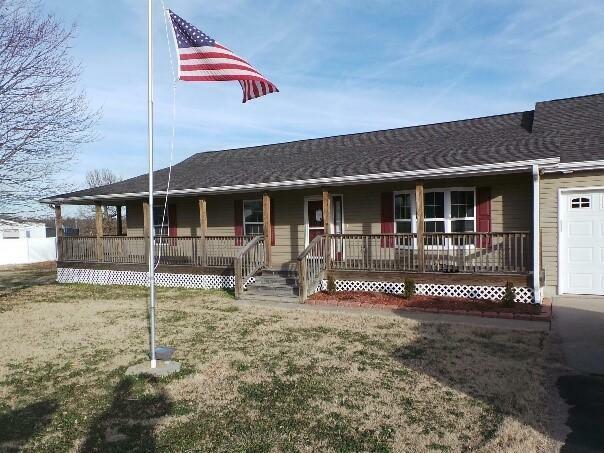 A wrap around porch, large privacy fenced yard with a storage shed and a two car garage that has a tornado shelter. Come see this gorgeous home today! Listing provided courtesy of Re/Max Classic. © 2019 Southern Missouri Regional MLS. All rights reserved.